A digitally hand painted bohemian giraffe print. 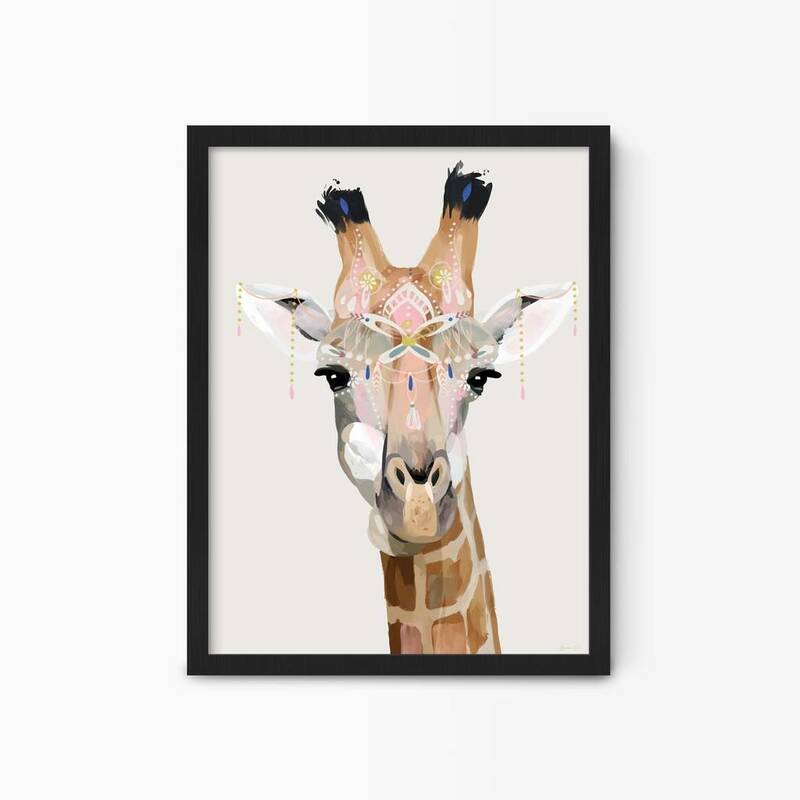 Make a warm and colourful addition to your room with this this boho print of a quirky giraffe with jewels, feathers & tassles. 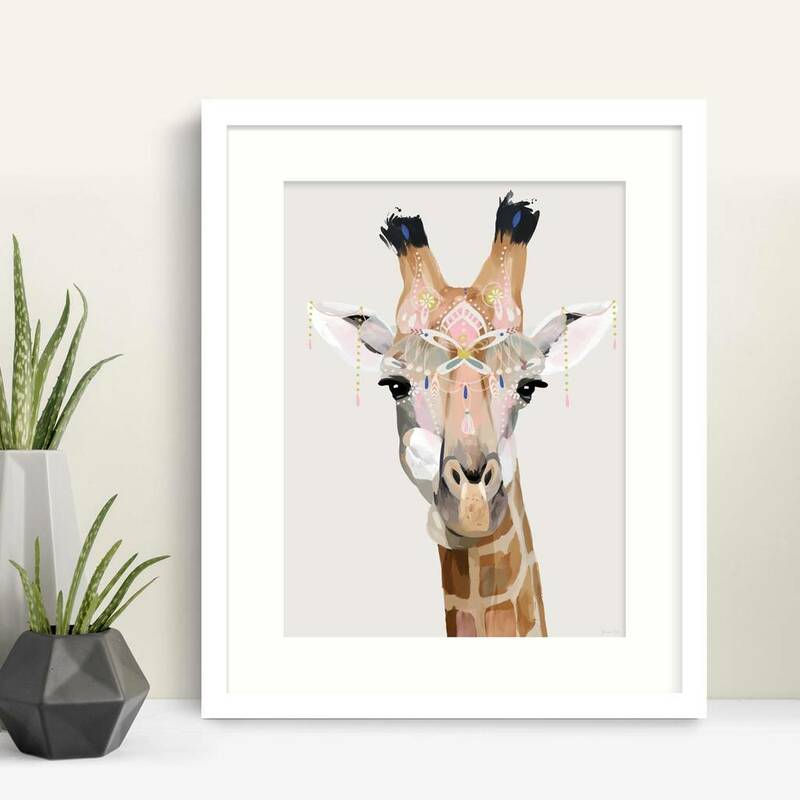 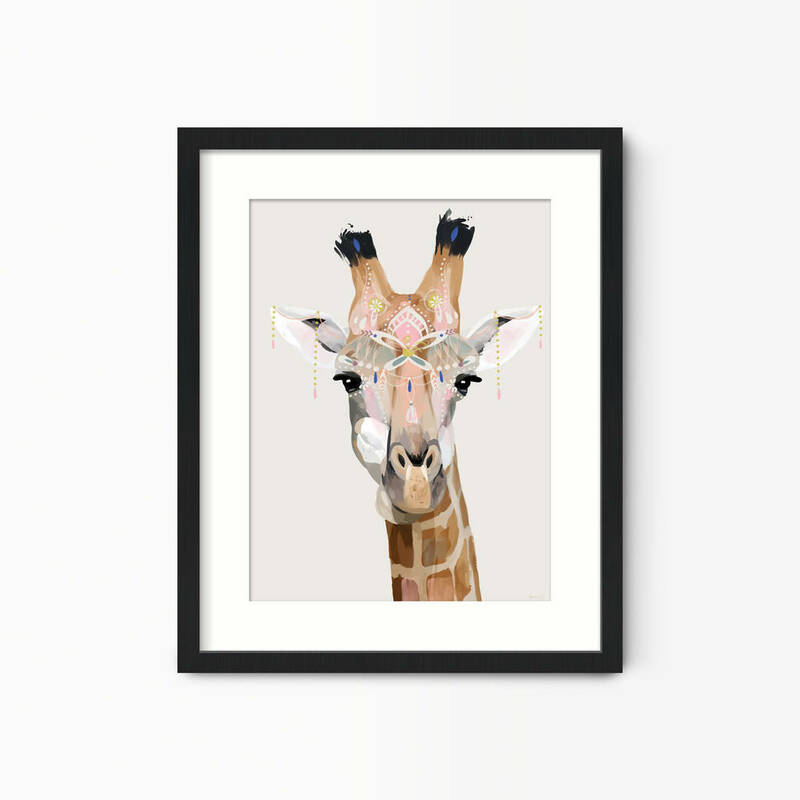 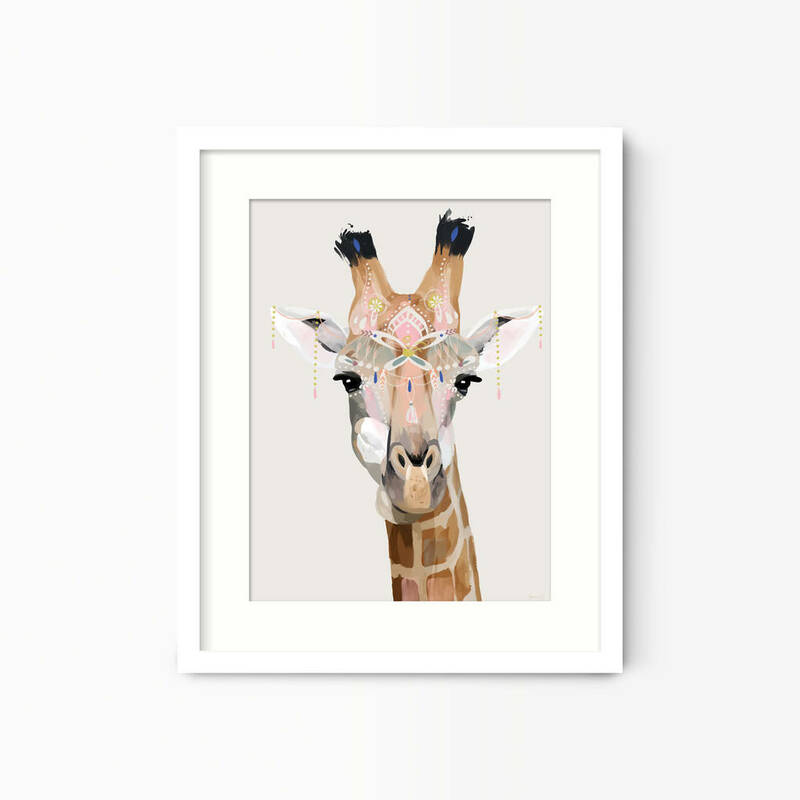 The perfect print for giraffe lovers or a great gift for someone that likes to travel or embrace a summer bohemian vibe. 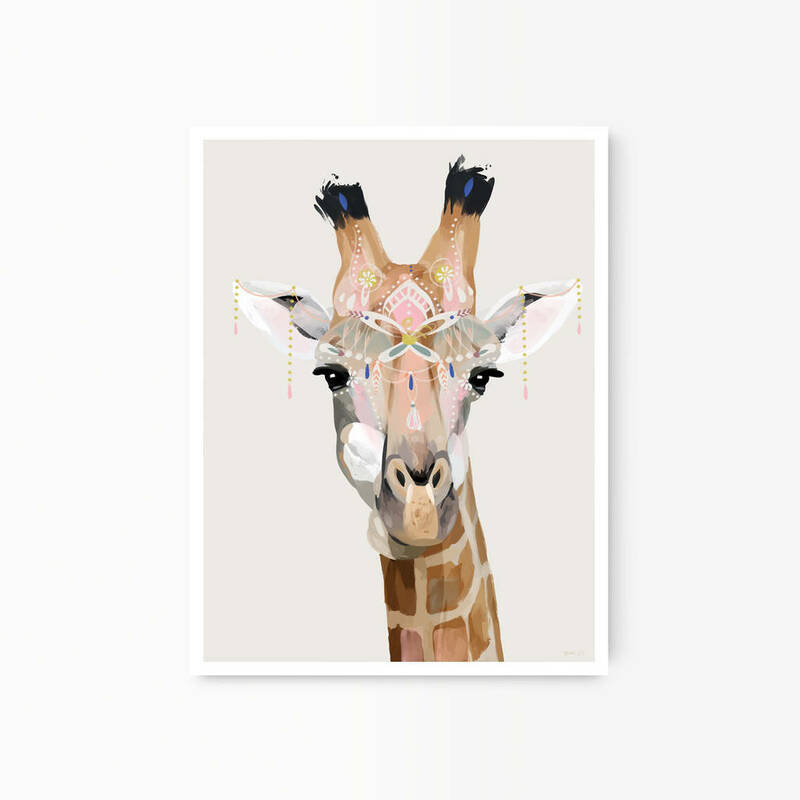 This modern print would also look great in a kids bedroom.